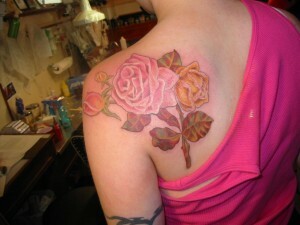 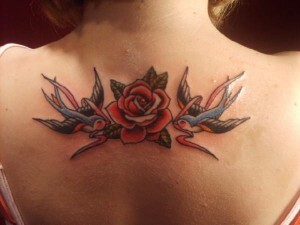 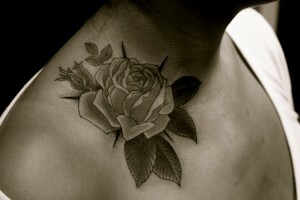 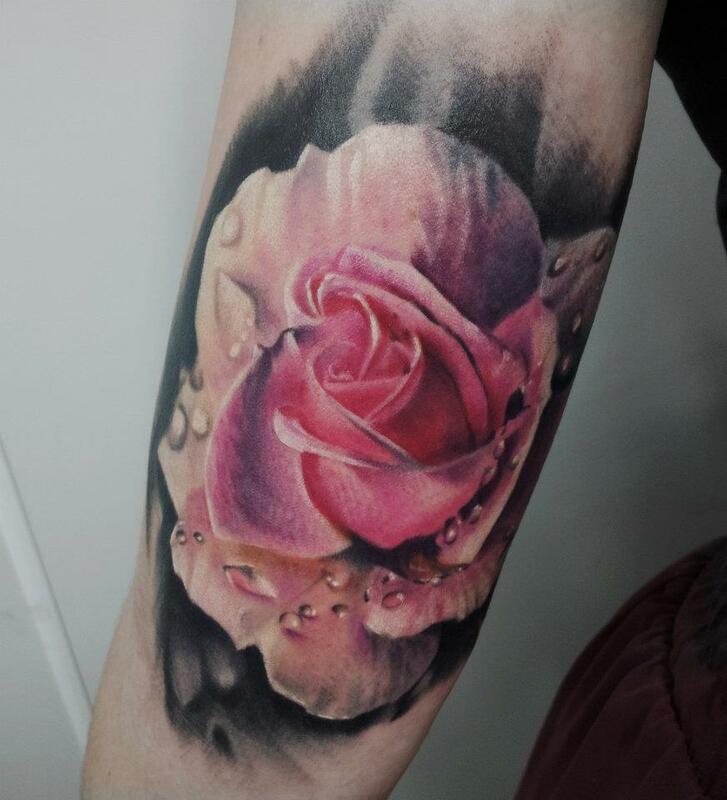 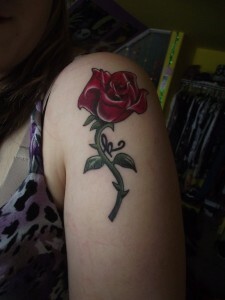 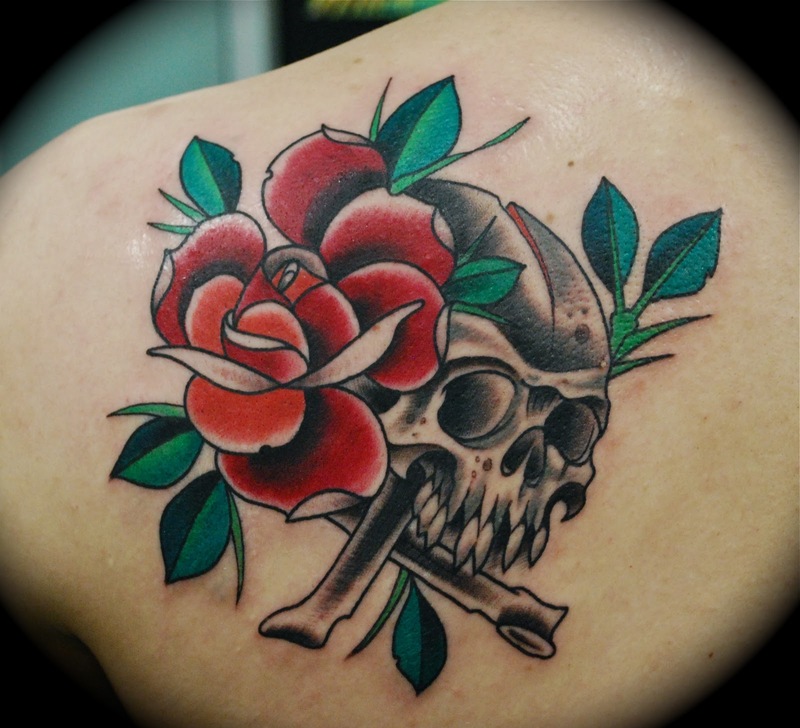 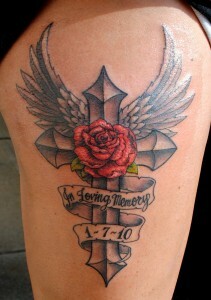 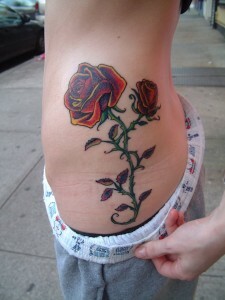 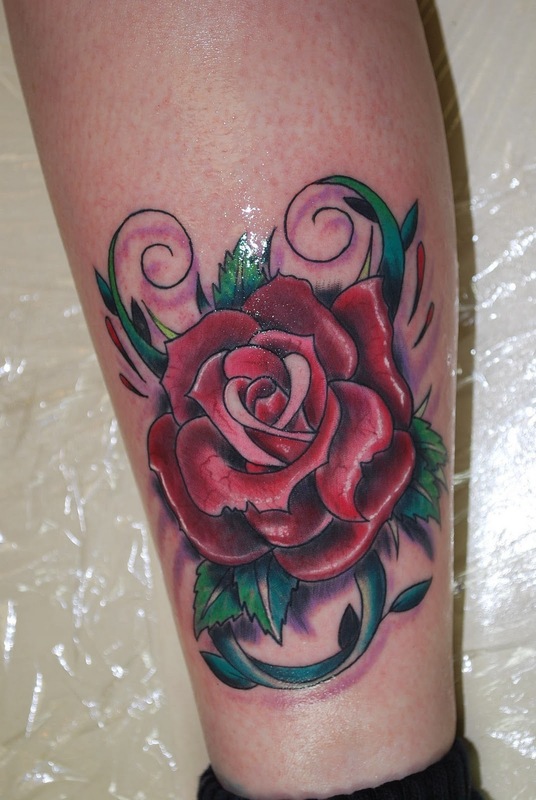 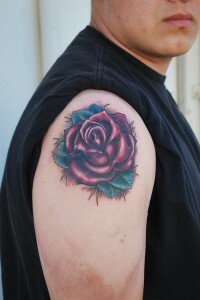 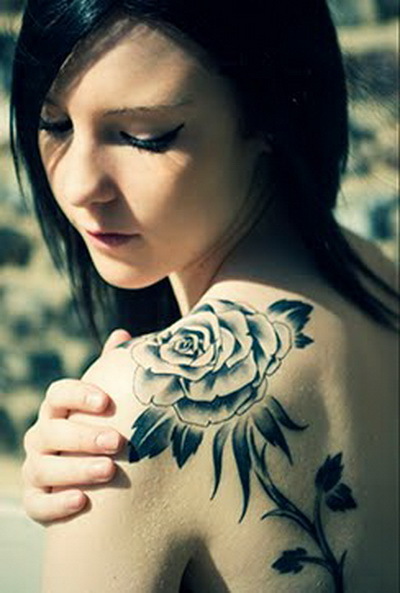 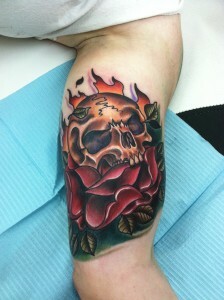 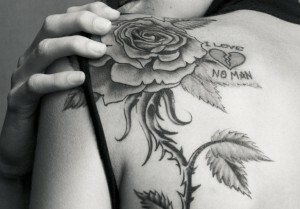 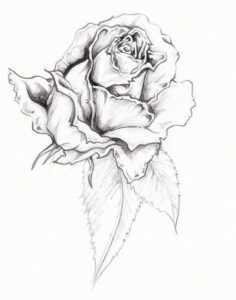 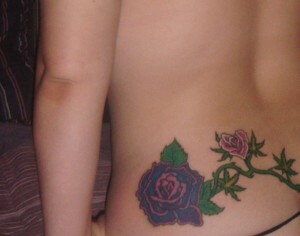 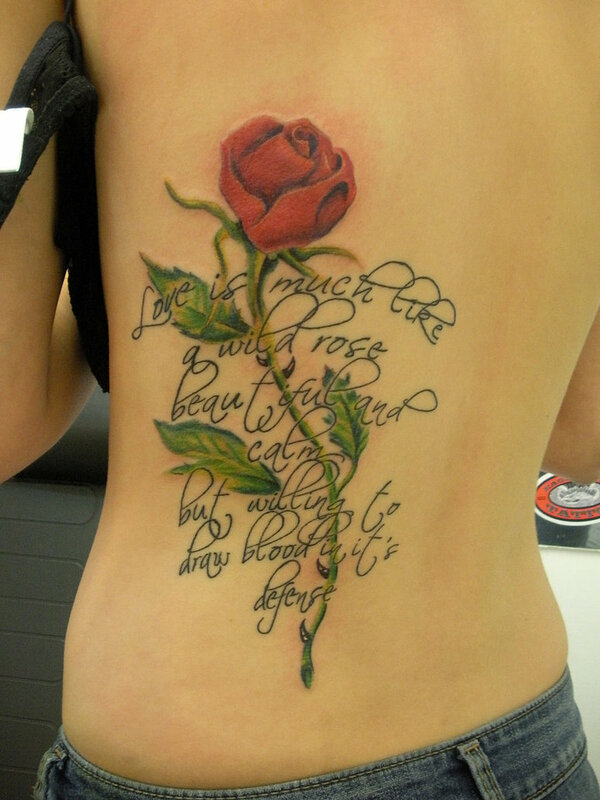 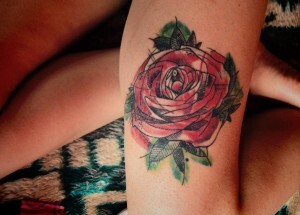 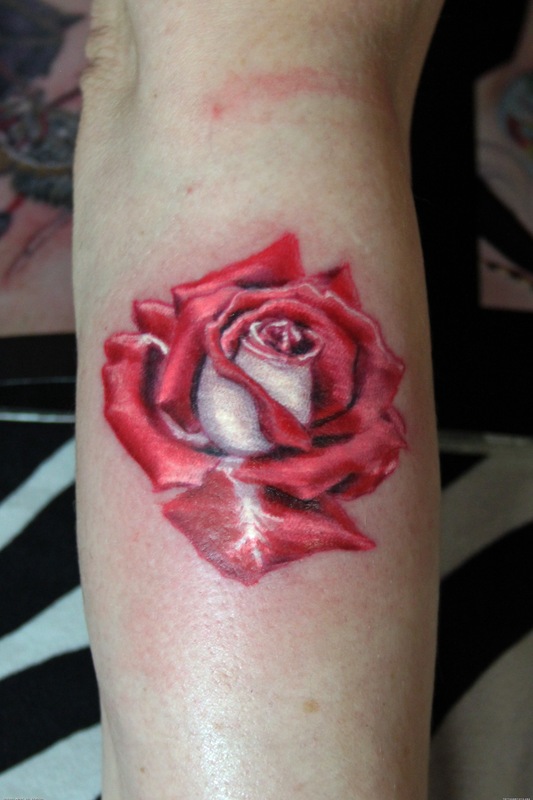 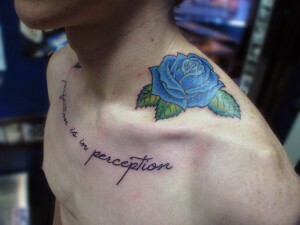 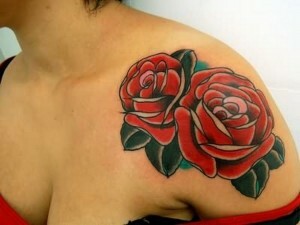 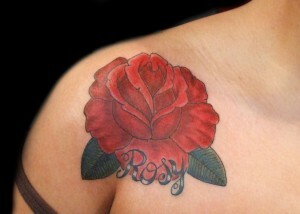 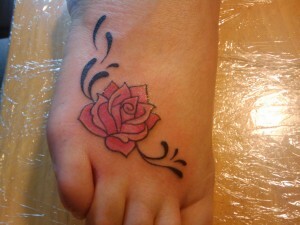 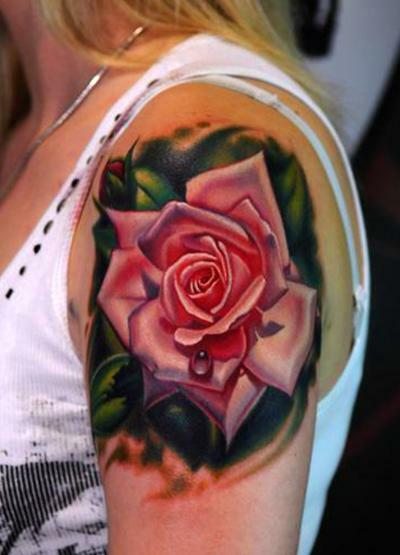 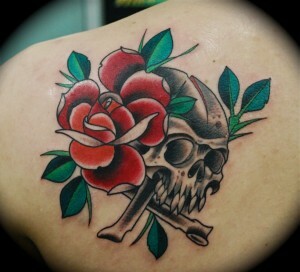 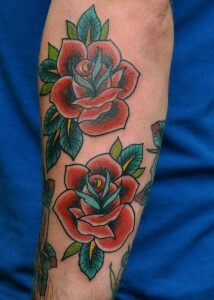 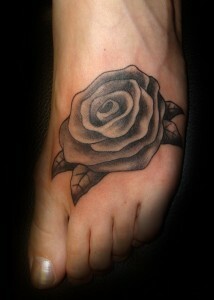 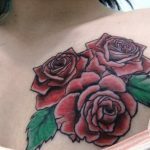 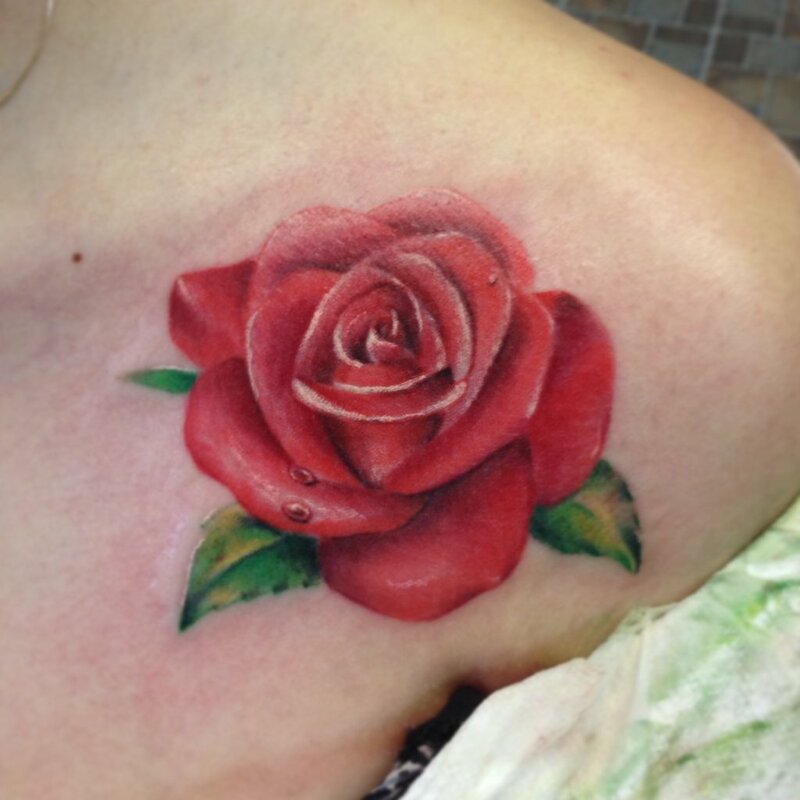 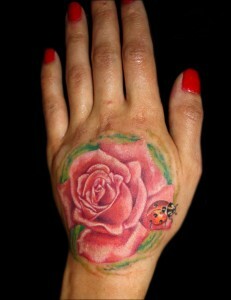 Rose tattoos have long been considered one of the most significant tattoo designs in various cultures of the world. They can be worn by both women and men, and can signify a diverse array of important meanings. 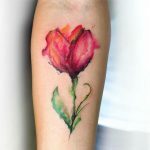 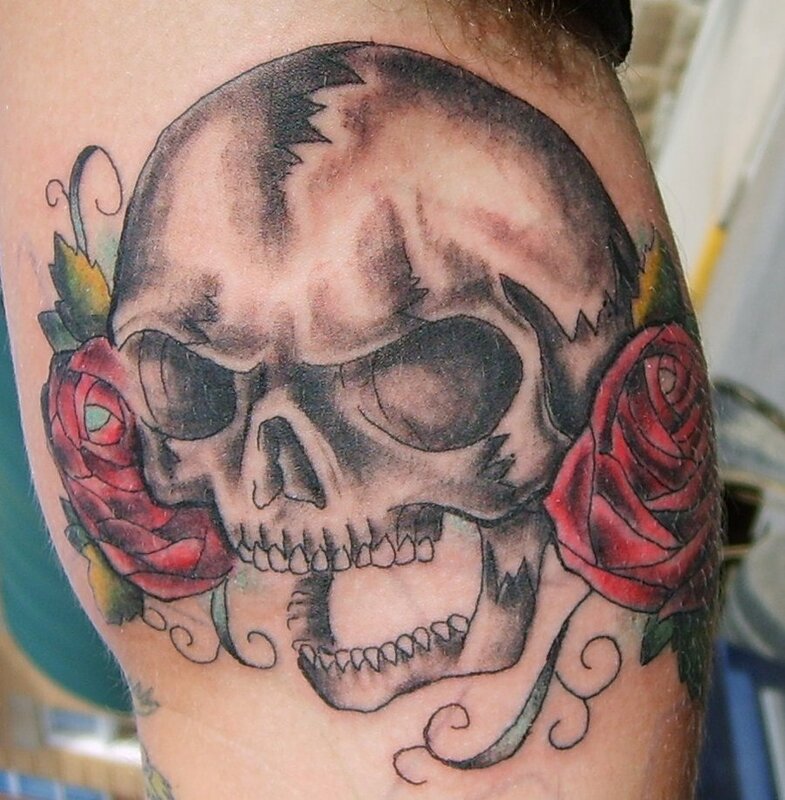 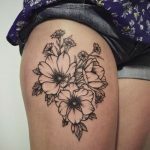 These tattoos can come in various colors and sizes, and are often combined with a number of other motifs and symbols, such as skulls, hearts, stars and other flowers. Roses have been associated with Goddess Aphrodite in Greek mythology, and they have also served as an important cultural symbol in ancient Persia. 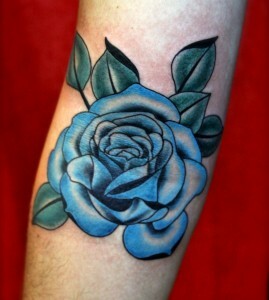 Rose tattoos were popularized by seafaring sailors, who sported them to represent their loved ones. 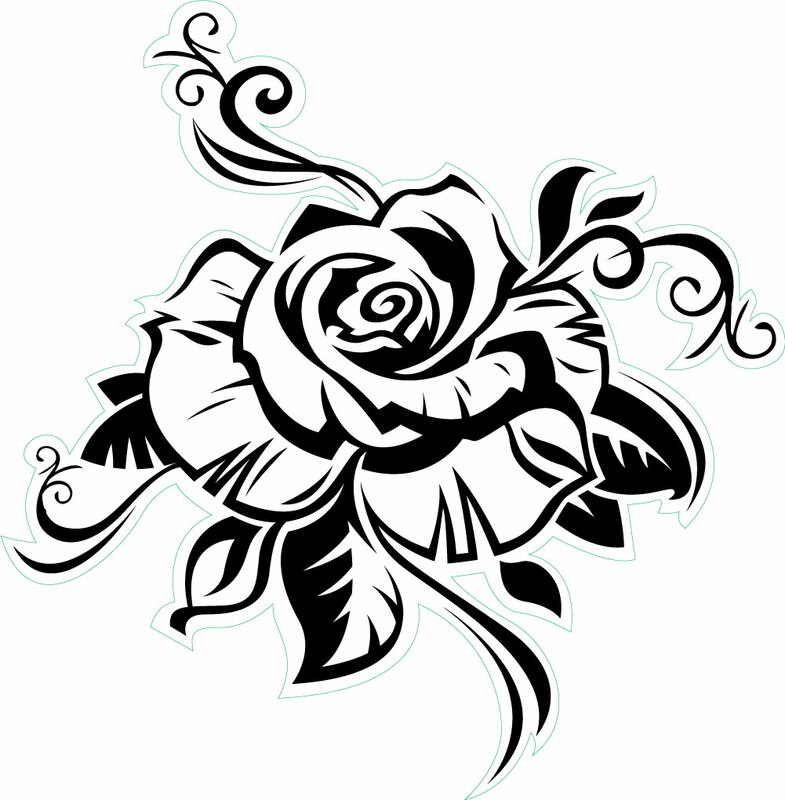 Roses have also been an important symbol to one’s love for Jesus and Christianity. 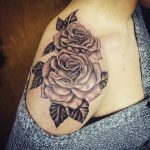 Although conventionally associated with depiction of love, roses have also been used to represent friendship, passion, death, grace and purity. 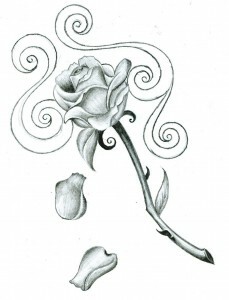 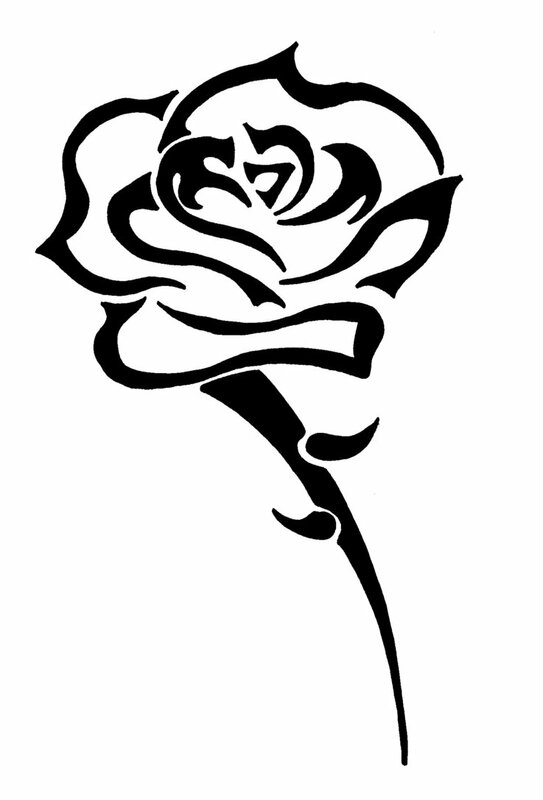 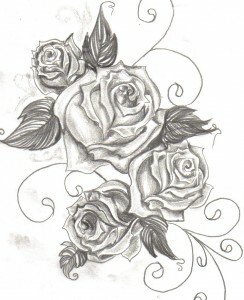 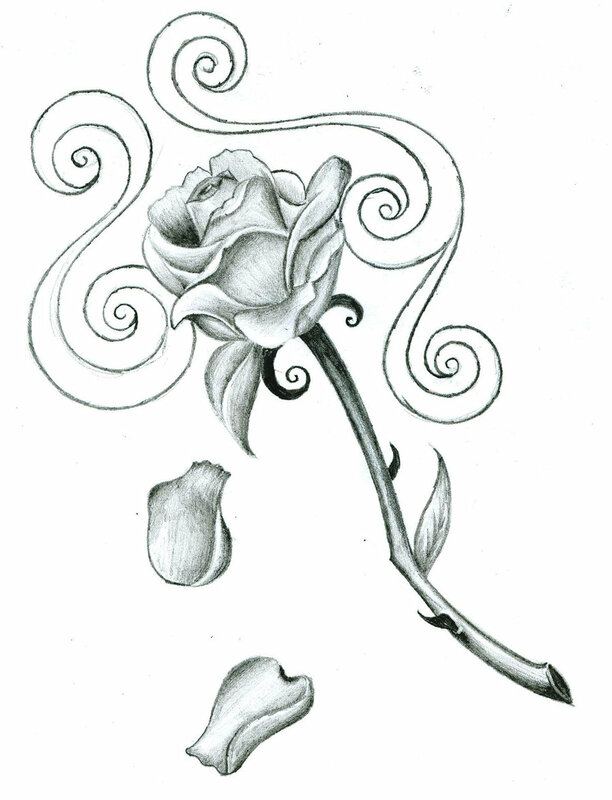 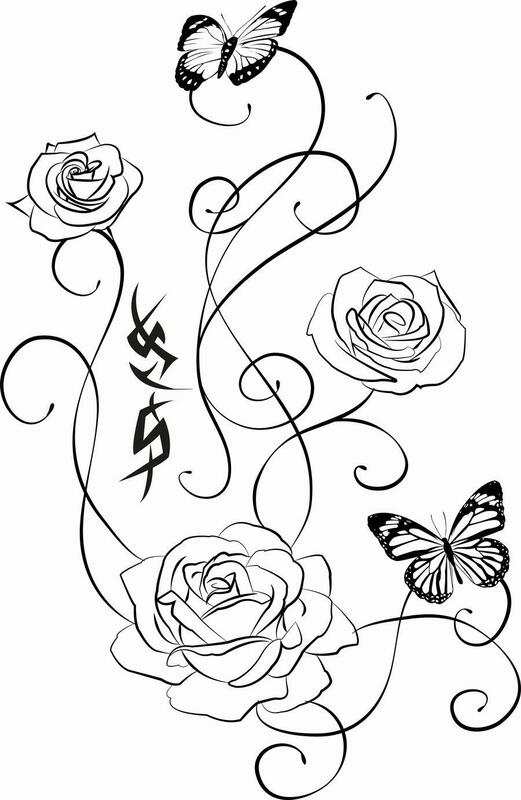 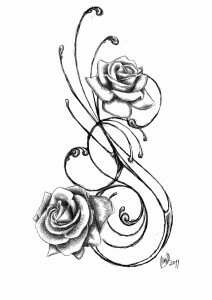 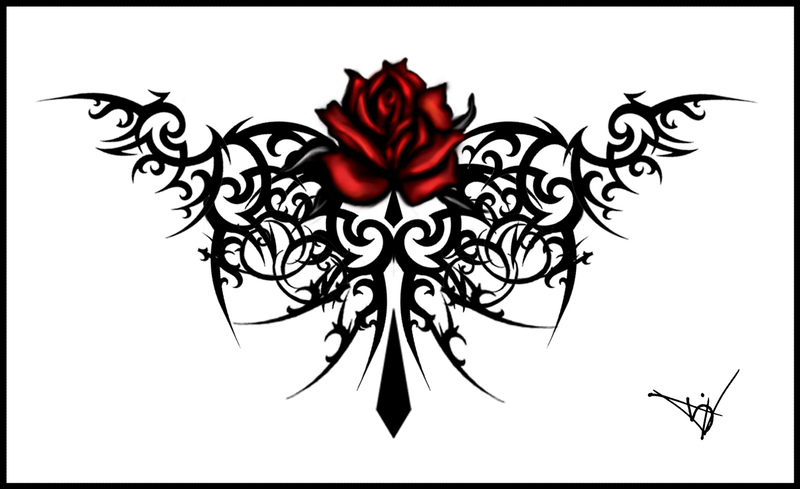 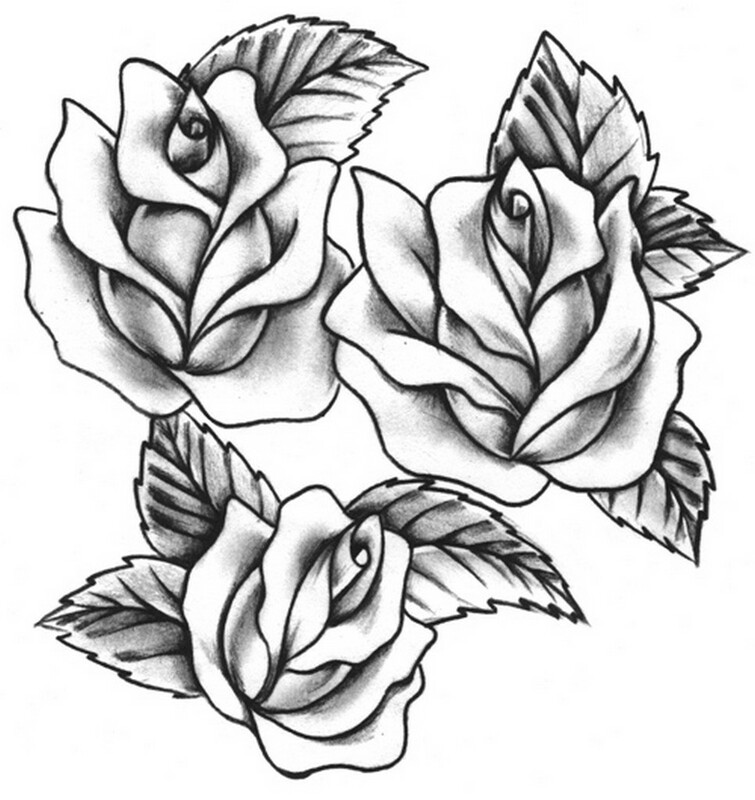 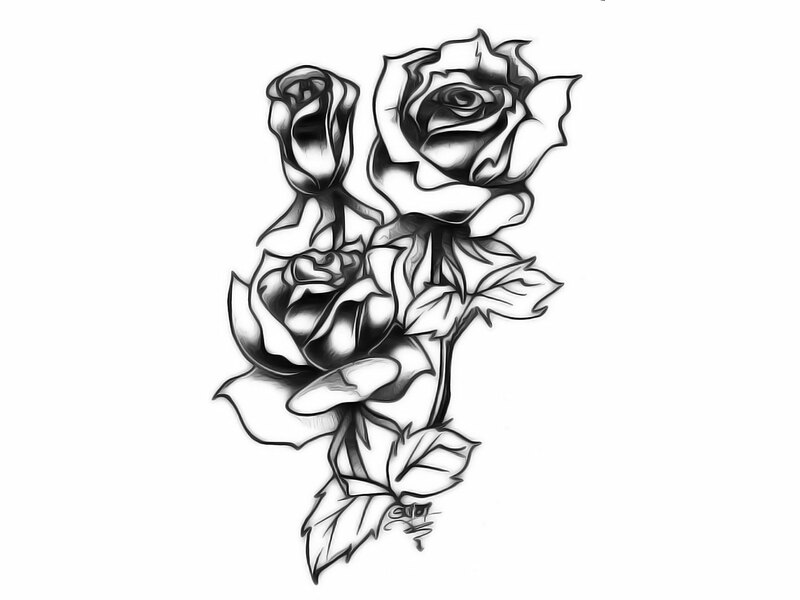 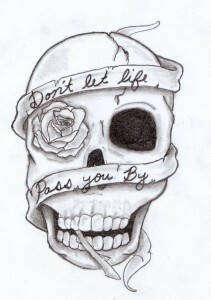 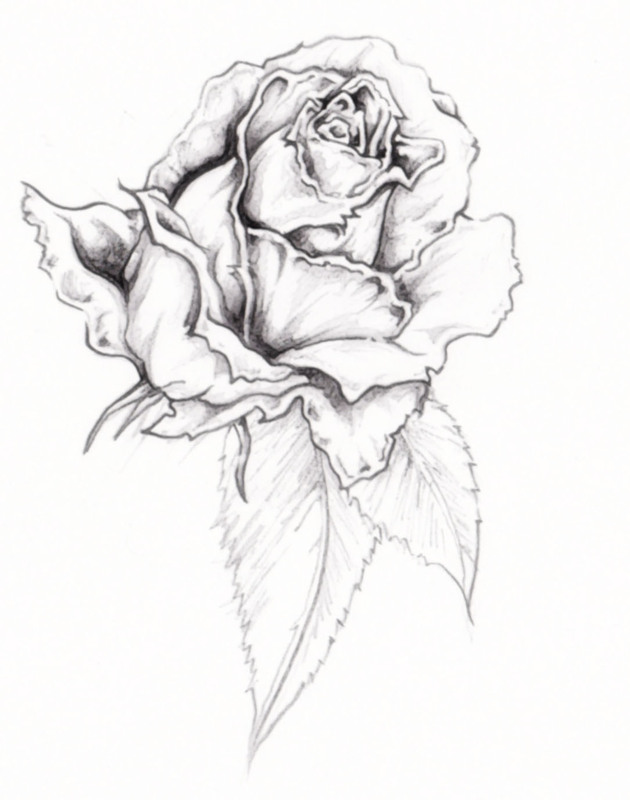 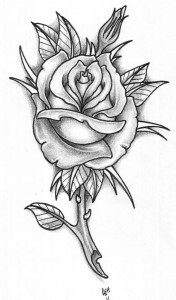 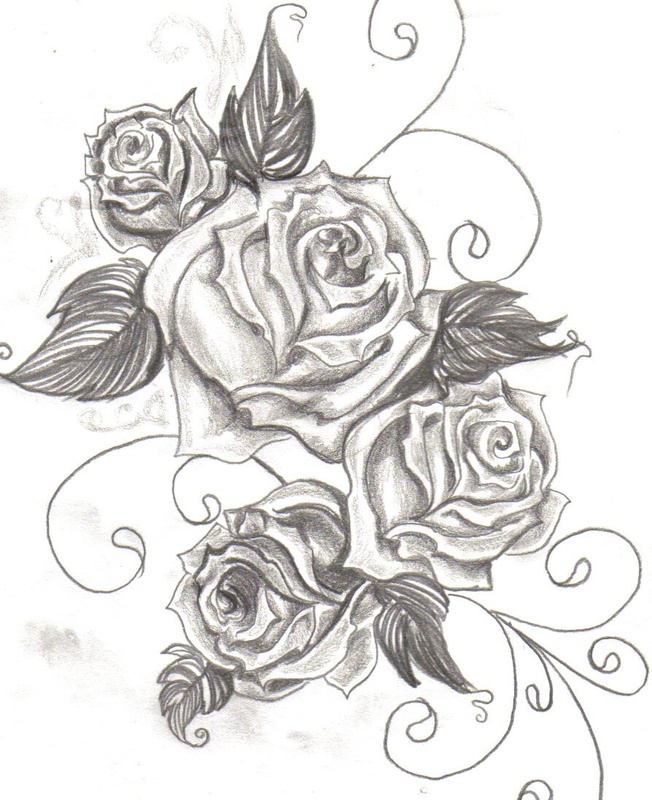 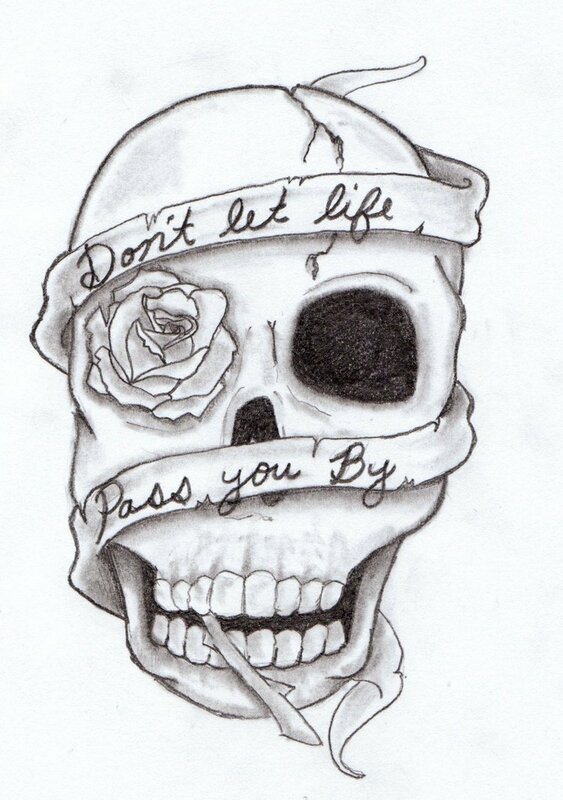 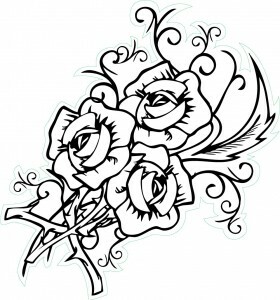 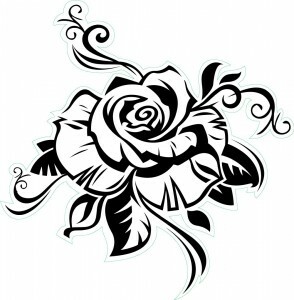 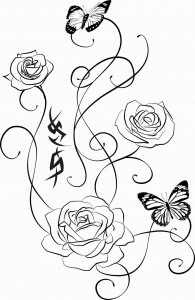 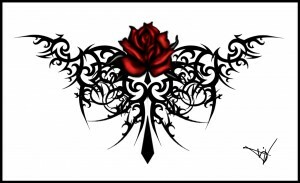 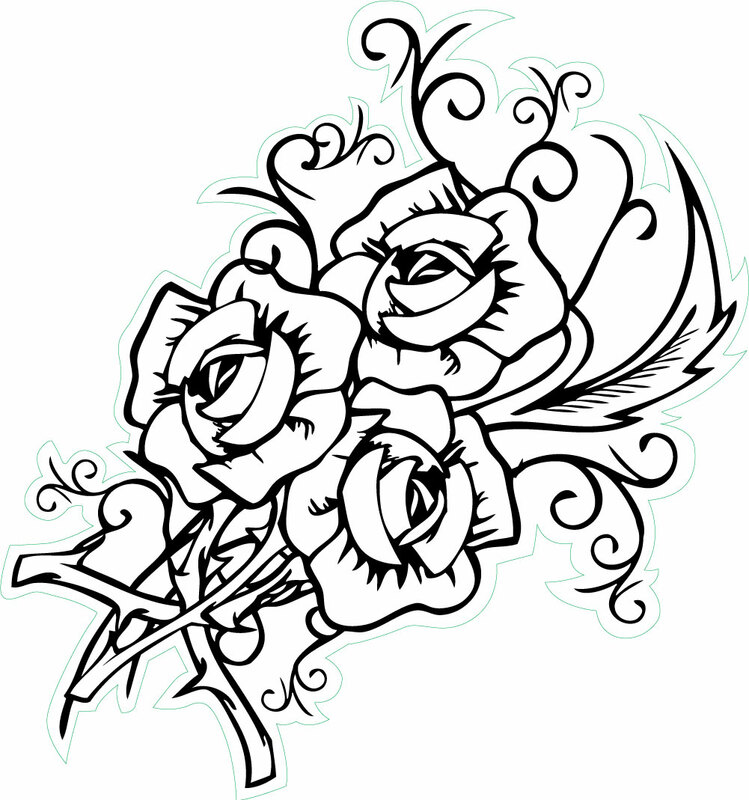 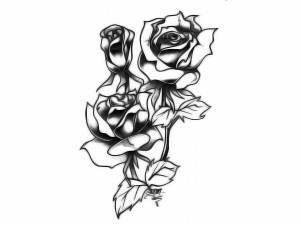 The rose tattoos presented above vary greatly in their style and can be worn on any part of the body.